I'm on the verge of a panic attack. Our boat is some two kilometres off the West Australian coast and ten passengers, half the group, are waiting nervously for the 3m whale shark the chopper has just spotted. This one is small compared to some of the behemoths that can grow up to 18m long, weigh as much as 20 tons and have a mouth more than 1m wide. The boat ahead has just dropped off a group of swimmers into the water. Only 10 people are allowed to swim with the whale shark at a time. How it works is the first boat on the scene is required to maintain a distance of 30m from the whale shark, the second, 250m and the others at least 400m. My heart drops when our group leader, Dani, tells us to move to the back of the boat and we're one step closer to jumping into the ocean. 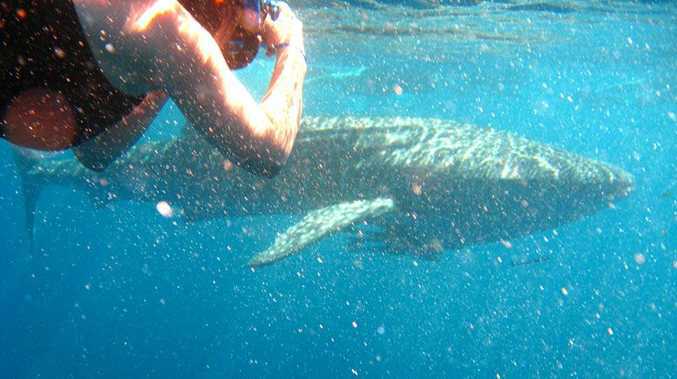 Read the full story about swimming with whale sharks in WA.